Nintendo has done it again. 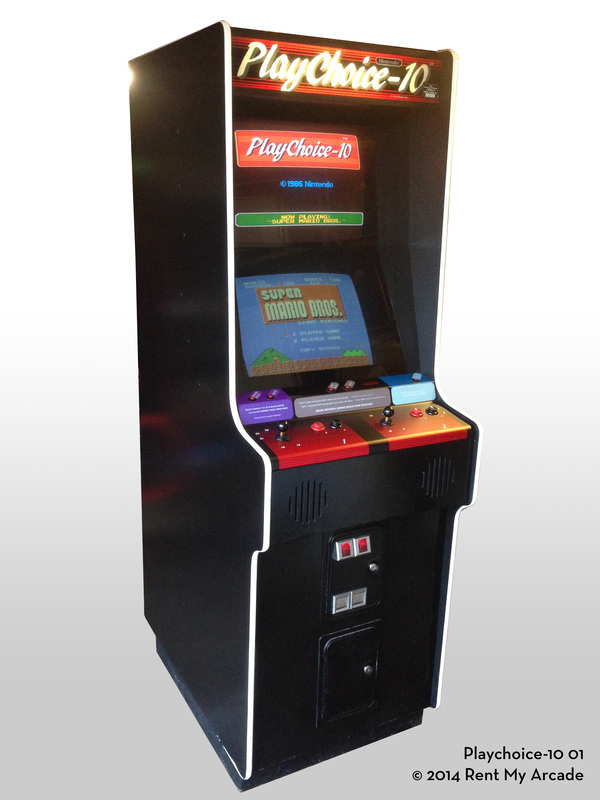 This time with PlayChoice-10, the hot new video game system that gives you ten games in one narrow-body cabinet. Players can look forward to new twists, new turns, new titles, and innovations such as a unique stop-action feature, skill level selection, and multiple menu selection that lets them play one game or many. Please select up to 10 games from the following list. (Other games available upon request).